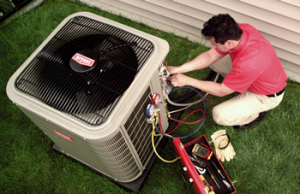 When you need air conditioning maintenance in your Schenectady, NY home, you need a professional you can count on. That’s why so many people choose Family Danz. We’ve been in the business of providing quality AC maintenance to our customers in Schenectady, NY for more than 30 years. Our number one goal is that your air conditioning system is running both effectively and efficiently. At Family Danz, we offer prompt, courteous air conditioning maintenance for your Schenectady, NY home. When you work with us, you’ll get the best possible service, provided to you by our highly skilled technicians. And, our technicians can provide maintenance on just about any make or model of air conditioning system on the market today, which means that even if you didn’t purchase your air conditioner from us, we can still help you get the AC maintenance you need so that you can enjoy maximum comfort in your home. Family Danz offers Schenectady, NY residents with exceptional air conditioning maintenance. Our highly skilled technicians provide customers with quality workmanship and products, and they’re specially trained to maintain any make or model of air conditioning system. And, we work to ensure that you’re 100 percent satisfied with the AC maintenance we perform in your Schenectady, NY home. Count on Family Danz for the AC maintenance you need for your Schenectady, NY home. Choosing air conditioning maintenance from us means that our skilled technicians will provide a thorough inspection of the air conditioning system in your Schenectady, NY home. They will make sure your system is operating properly on all levels, and will take any needed steps to ensure that it’s running effectively and efficiently now and well into the future. When you need air conditioning maintenance in your Schenectady, NY home from an AC contractor who will treat you like family, count on the professionals at Family Danz Heating & Cooling. No matter whether you need air conditioning maintenance or other services, we’re happy to assist you. Simply call us at (518) 427-8685.